Clinicians and clinician groups who are accredited to at least 10 episodes for one or more measures have a chance to view a confidential report with information about their cost measure performance. The ACR expects these reports to be available to some ACR members. Acumen plans to distribute confidential field test reports to group practices and individual practitioners through the CMS Enterprise Portal, which CMS has used previously for distributing Quality and Resource Use Reports (QRURS). However, you should note that field testing of new cost measures is different from measures reported QRURS, which you may receive at the same time. If you cannot access a report, you can view additional documentation of the measures on the CMS website. Supplemental documentation includes a field test mock report, draft cost measure methodology, draft measure codes list, fact sheet with an overview of field testing, and a FAQ document. 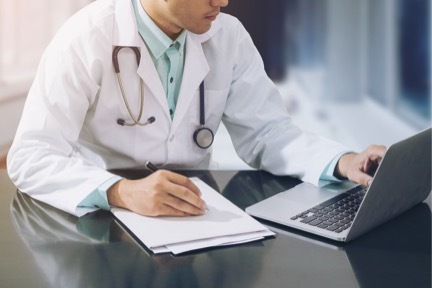 Accessing your field test reports requires that you have an Enterprise Identity Management (EIDM) account, and that you have access to a “Physician Quality and Value Programs” role in that application on the portal. If you do not have an EIDM account, you can easily set one up using their guide and get access to a “Physician Quality and Value Programs” role in order to assess your field test report. Additionally, if you think you may already have an existing EIDM account but are not sure if it’s still active, you can check by attempting to login. If it is active but you’ve just forgotten your password, you can always reset your password by using the “Forgot Password” function and answer your security questions that you set up when you registered for your EIDM account. For group practices, reports are available for the TIN of the group practice. If you are applying for a Group Representative or an Individual Practitioner Representative Role, the request is sent to your Security Official or Individual Practitioner. The time frame is based on how long it takes the Security Official or Individual Practitioner to approve your request. Do you want the latest industry news? Sign up today for HIS monthly e-Newsletter or subscribe to our blog to receive industry updates, orthopedic and radiology news, and helpful resources. If you would like more information on our services, please contact us today!